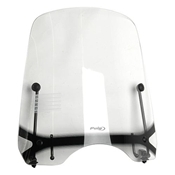 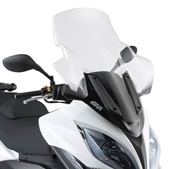 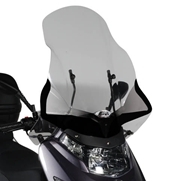 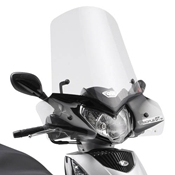 On USA models you will have to either remove the handlebar mounted turn signals and put bulbs into the fairing mounted signals, or modify the bracket to keep the handlebar signals. 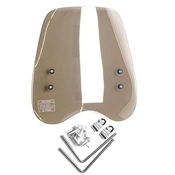 We are here to help with either one of those, we can modify the bracket or ship the turn signal bulbs with the shield. 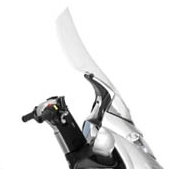 We carry a large selection of parts and accessories and provide all levels of service on the brands we sell. 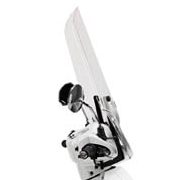 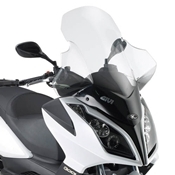 We started as a single line Moto Guzzi dealer in 1995. 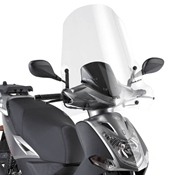 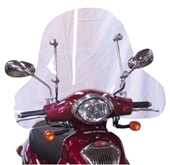 We have since branched out and now carry Royal Enfield, Kymco, Hyosung, and Genuine. 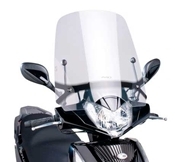 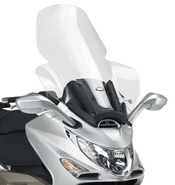 We specialize in Kymco, Genuine, and Hyosung parts and accessories. 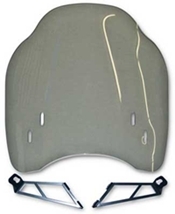 Click on the brand logos at the top of the page to find the parts and accessories you need.